Inspired by the name of the Greek Goddess of Victory - NIKE, Nike fragrances makes you feel just like a Greek Goddess. 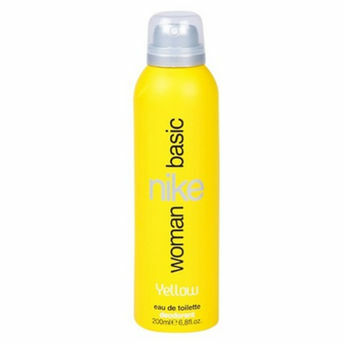 Nike Woman Basic Yellow Deo Spray opens with elegant sweetness which ultimately make way for calm and soulful notes. The active formula gives you continuous and effective protection against perspiration odours all day. Mesmerize in the beauty of this soothing, ultra-feminine fragrance.